Welcome to Car Battery Online! On this site you will learn how to keep your car battery charged, extend its life and replace when necessary. An auto battery is a rechargeable battery that supplies electric energy to your car. In an automobile with a combustion engine the 12V car battery powers the starter motor, the lights, and the ignition system of a vehicle's engine. Thus it is also known as SLI battery (starting, lighting, ignition). In a hybrid car like Toyota Prius there are two batteries: the traditional lead-acid 12V accessory battery (to power lights, fans, radio and the computers) and the main hybrid traction battery (with nominal voltage in hundreds Volts). Most of the time an auto battery is charged by the alternator in the car when its engine is running. But if you drive for short distances, don't drive at all for several days or heavily use lights, fans, heaters, audio and conditioner car battery will discharge and may even fail to start the engine before your next drive. In this case you need a dedicated 12V car battery charger. In case of emergency you can try to jump start the auto battery with a car battery booster or with another car. 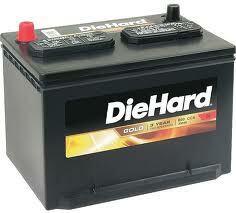 Before you buy a new car battery, make sure your old battery is really malfunctioning and not just discharged. Fully charge and test your current battery. 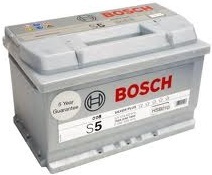 Only when it no longer passes the tests, it is time to buy a new car battery. 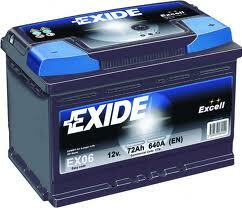 Car battery replacement is a relatively easy operation that you can perform yourself. 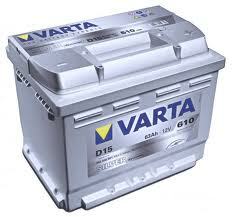 The most simple and effective way to extend the life of an automotive battery is to keep it charged close to 100%. Periodically check the state of charge of your battery and charge it with a dedicated charger device when necessary. Consequently, try to avoid deep battery discharges that can happen, for example, if you leave your car's lights on.